The Fuzzy Five - Special WIP placeholder! Hey Fuzzy Fivers, it’s your artist Melissa again! You might’ve noticed that there was no update yesterday…we sincerely apologize for the interruption! 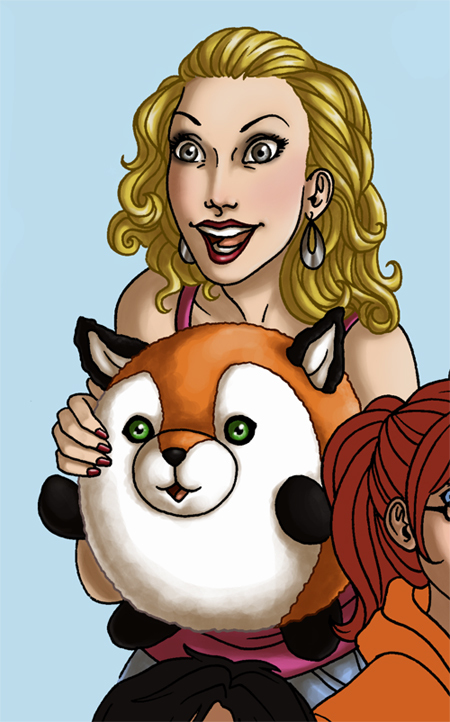 So here for your viewing pleasure is a sneak peak at the work-in-progress for an awesome new Fuzzy Five pinup poster! (If you’re going to be at Otakon, you might even have a chance to buy one for your wall/cubicle/wherever you live that has a vertical surface! There’s been a lot going on over at Squishable.com, and by a lot I mean new releases and photo shoots. I was directly involved with the latter…it’s hard to draw a comic page when you’re schlepping around carrying large plastic bags filled with Squishies! They’re not heavy, but there’s very…large. And NYC is very hot this week! Normal updates will resume Monday! Thanks everyone! I know it’s after Otakon, but can I still get one of these? You guys should make a poster section of the website.